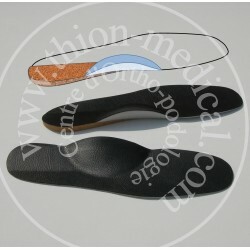 The insoles are made of stretchable resin, a soft latex support of the arch and covered in black urethane leather look. They fit inside all shoes. 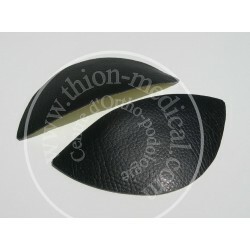 Recommended for sagging of the arch of the foot and flat feet. 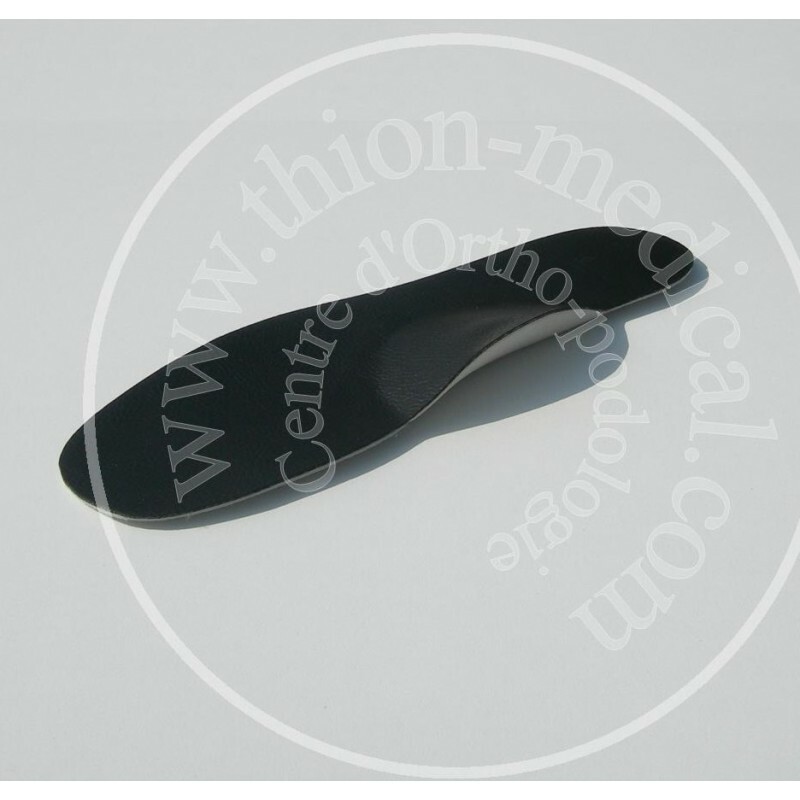 They place the arch of the foot in such position as to restore the necessary height in order to fully play its role of shock absorber. 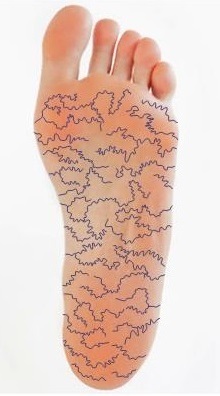 The plantar venous insole described by LEJARS is a network of veins in the fat tissue that lines the bottom of the foot. At each step, the compression of soft flesh crushes this superficial network to quickly send the blood to the deeper venous system. It is the first stage of the venous pump. It is essential for the good quality of the blood drainage from the periphery inward, at the risk of seeing a venous stasis. It slows down the blood and it dilates the blood vessels. The second stage, the muscles of the leg and mostly of the calf contract, which accelerates the venous return of the lower limbs to the heart. Our Supports for physiological arch of the foot, inside your shoes, will increase the venous pump effect and will participate in the fight against heavy legs effect. We also recommend you to wear heels of reasonable height around 3 cm. The arch is part of the architecture of the foot which is made of 3 arches that draw a triangle on the ground. - To participate in the phase of propulsion in walking or running. From these 3 arches, the most important in size and function, is the internal longitudinal arch. 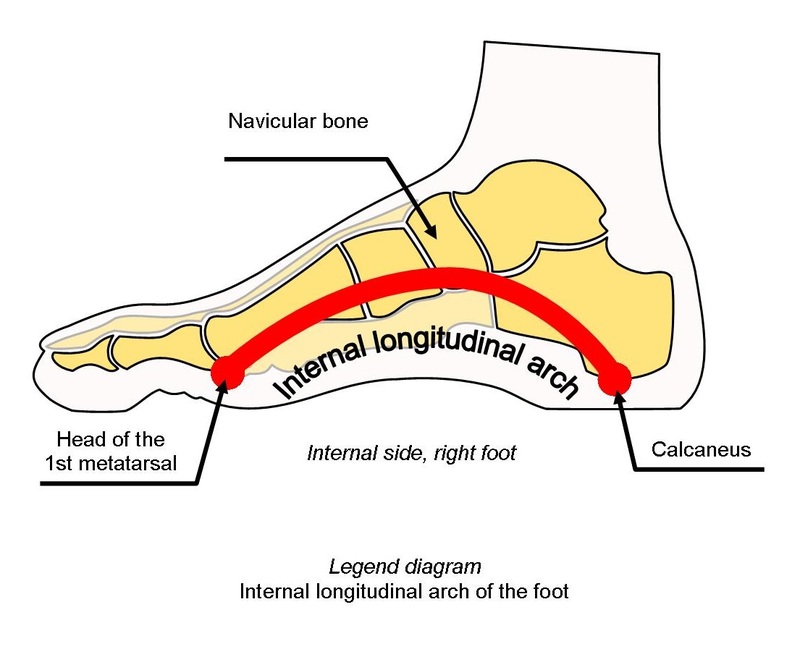 It forms an arc of a circle which starts at the calcaneus, passes by the navicular bone (the keystone) and it ends at the head of the 1st metatarsal. It is a stretchable arch. The second is the external longitudinal arch. It forms a curve that starts from the calcaneus, passes through the cuboid bone and ends at the head of the 5th metatarsal. It is a press and hold arch. 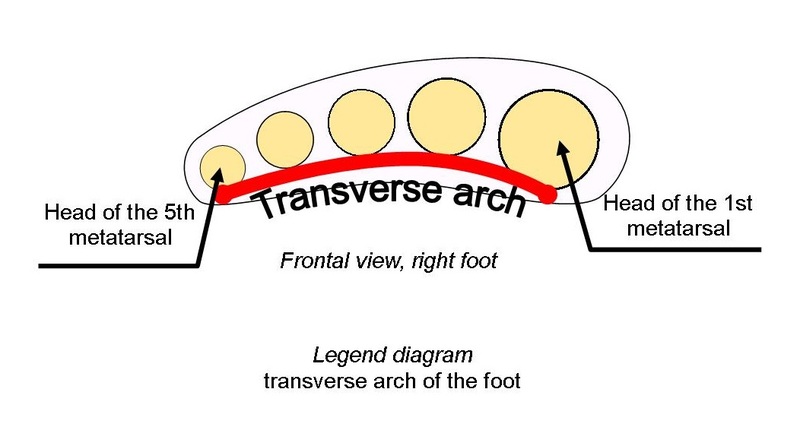 The third and last is the transverse arch. It forms a small bridge that links the 1st metatarsal head to the 5thmetatarsal head. It is an arch of connection. 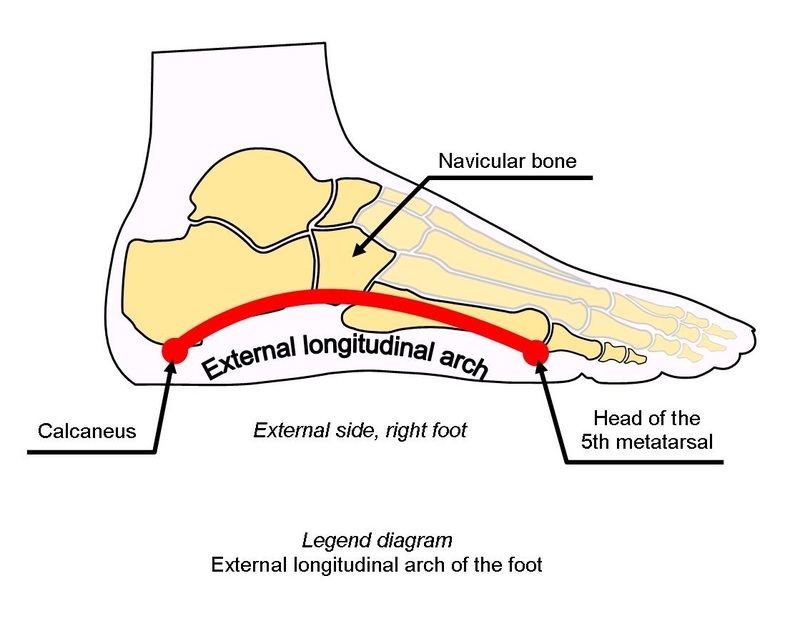 We talk about sagging arch of the foot, when the curve of the internal longitudinal arch flattens, getting closer to the ground. It is not yet a flat foot and there is no calcaneal valgus. 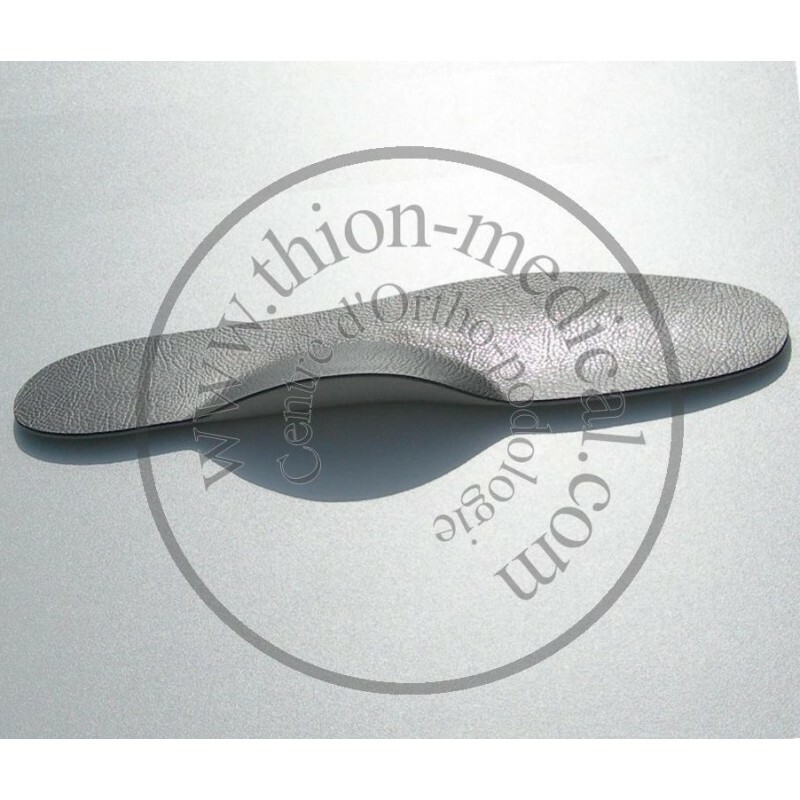 In this case, the amplitude of the shock absorber that represents the arch of the foot is diminished and its efficiency reduced. Tiredness will install itself while walking or while standing in upright position for a long time. The causes are most of the time the ligament hypermobility and or lack of muscle tone. 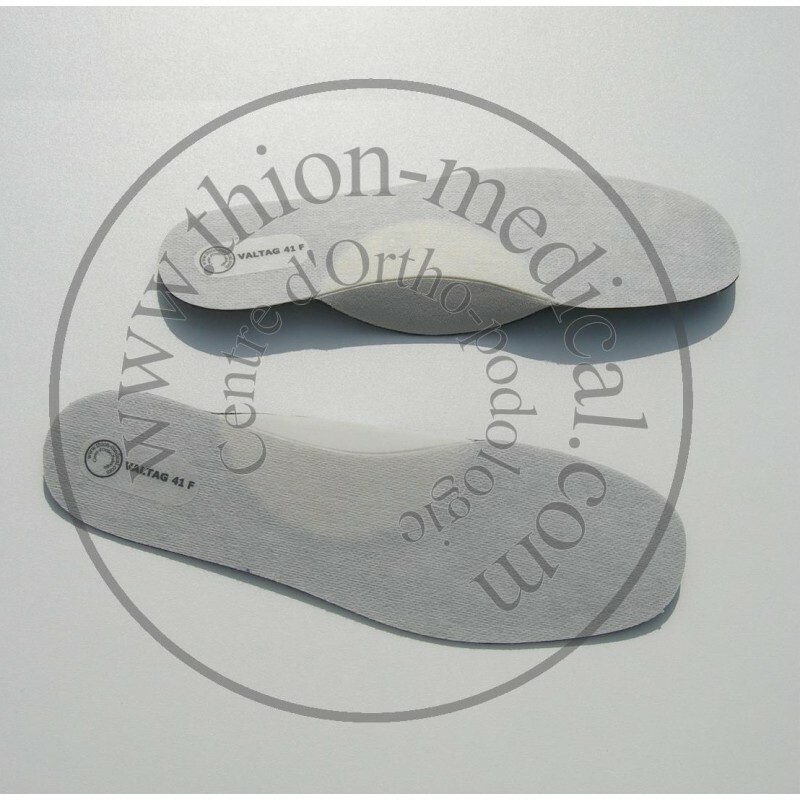 Our Supports for the arch of the foot, inside your shoes, will restore in your feet the necessary curve in order to regain their function of shock absorber.